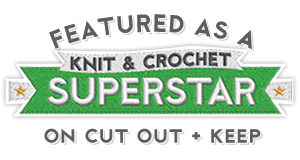 Categories: Hodge & Podge | Tags: crafting, crafts, crochet, diy, Hodge & Podge, knit, yarn | Permalink. Just wanted to give Hodge and Podge a bit of exposure over here at The Nest. They are the creations of Jennifer Olivarez over on the Squirrel Picnic blog (the acorn over on my Squirrel Approved blogs), and they are just too adorable for words! Thank you so much, evilsquirrelsnest, for the kind words and the reblog. I’m so pleased Hodge & Podge are making new friends over there at the squirrel’s nest.